If you’re anything like us – want to be better informed, become a smarter investor and learn how to successfully market your properties – you need a quality reading list. A go-to-resource of expert advice covering a range of real estate topics from a variety of different angles. Often, finding this information involves weeding your way through piles of virtual garbage. Last year we released the top 65 real estate blogs list. The post did really well. But, this year we are taking it to another level. We’re excited to announce the launch of the “85 Best Real Estate Blogs of 2016”. A revised list featuring many familiar experts, as well as 28 new faces you have never seen before (we removed a few old ones too). This list is loaded with actionable advice from both local and world-renowned real estate experts. You’ll find site descriptions, top posts and Twitter information for every expert included on the list. This is the most valuable and comprehensive real estate list post you’ll find anywhere online. A must-read for every property manager, investor, homeowner and landlord. The list is segmented into topical categories so you can navigate directly to the section most interesting to you. Simply click one of the links below. Seth Williams runs one of the top real estate investment blogs on the internet. Every piece of content he publishes is informed and actionable. If you want to learn how to find motivated sellers, sell properties fast, create passive income and find financial freedom in real estate, check out Seth’s blog today! Follow real estate guru Mark Ferguson as he introduces you to long term rental investment strategies, as well as ‘fix and flip” tactics that generate serious passive cash flow. Brandon Turner is the man behind the Bigger Pockets podcast. Real Estate in your tweties is his personal real estate blog where he teaches you the strategies he used to create real estate wealth in his twenties. After serving as a Desert Storm Marine Matt Theriault built a small real estate empire with hardly using one dime of his own money or one point of his own credit and has found a knack for simplifying complex real estate investment processes. Great blog! Real estate investing blog filled with tips and tricks to help you be successful. He adds a comical twist that makes reading a lot of his content really fun. If there was one blog I could read, this would be it. Insights from industry experts answering every type of investment question you could imagine. Real estate news, advice, opinion, and insights from one of the best in the industry. If you haven’t read Marco’s work or connected with him on Twitter or facebook, do it now. He has a wealth of knowledge to share. Danny Johnson has been flipping houses for over 10 years and he shares his best tips on the Flipping Junkie blog. Easy reads with a ton of value. Real Estate Investment Articles, Videos, Blog, Clubs, and Forums for Real Estate Investors. This another one-stop shop for anyone interested in learning more about the investment space. A man with an inspiring story, Ben Leybovich shares all the tactics he used to build a $1.5 million real estate portfolio through lender financing. Joe has been a real estat investor since 1986. Through trial and much error, Joe found a system for real estate investment and uses his blog to share his knowledge. The Broker List is the brainchild of Linda Day Harrison. Her blog connects brokers, building managers, and CRE experts through timely and actionable information. Highly recommend this one if you’re in the CRE space. 10 things an OWNER or commercial real estate should do…NOW! Jeff Adams is a best-selling author and real estate investor who helps readers find financial freedom through his real estate investment systems. He shares key insights on this blog. Learn how to invest in apartment buildings by raising money from private individuals. Sharon Vornholt is a seasoned real estate investor who has risen from the trenches to achieve great success. She shares her best advice on the blog. Well worth a read through! To skip the 9-to-5 life and live life on her own terms, Paula invested in seven rental properties and now travels the world with no one to answer to but herself. The name says it all. Mark Brian’s blog cuts through the fat and reveal some of the most “to-the-point” information for investors. Specializing in rehabbing homes and fixing and flipping, J Scott blogs about his own rehabbing property ventures and also blogs and podcasts about unique investment strategies that have made him a lot of money. South Florida Real Estate Blog teaching buyers and sellers how to get the most value out of their homes. Tips, articles, and Realtor advice for home buyers and sellers in Colorado Springs, CO and surrounding real estate areas. One-stop blog for real estate investing tips, strategies, and ideas filled with real-world examples from founder, JP Moses. This blog provides in-depth articles, news, videos and infographics about investing in real estate and running a business. One of the best resources for landlords. Learn how to successfully manage your rental properties, build wealth, and keep your tenants happy. The Realty Mogul blog shares tips on real estate investing across a variety of different types of real estate and investment opportunities for crowd funders interested in real estate. Arizona short sale expert, and Bigger Pockets contributor, Tracy Royce discusses short sale tactics and real estate trends. 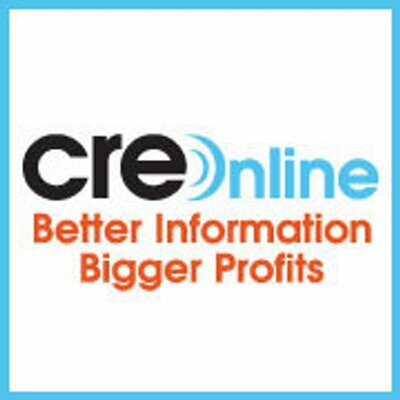 CRE online is one of the leading blogs on the topic of real estate investment. They consistently release information that will keep your finger on the pulse of major changes in the industry, and frequently share actionable tips and strategies to help find profitable investment opportunities. The Fundrise blog provides helpful resources to help you get started with real estate investment and learn about the new industry of real estate crowdfunding. Chris Clark writes about CRE related technology, marketing and anything else that looks interesting. Well worth the read! Learn the secrets of Hassle Free Cash Flow Investing as professional investor David Campbell blogs about creative real estate strategies and opportunities. Just Rent to Own is a new one on the list. Spearheaded by Nicholas Brown, the content marketing team regularly publishes actionable and insightful articles about market trends, rental polices and home buying tips. A one-stop resource for everything multifamily. Editor, Lindsay Machak, delivers deep insights into what is trending in the multifamily industry so you can make smarter investment decisions. The name says it all. This blog demystifies a lot of the more complex and often overlooked metrics in commercial real estate. Can you explain MIRR or the difference between ingress and egress in real estate? Michael Bull has delivered commercial real estate to the masses. His CRE Show features insights from some of the biggest names in the industry, and is now syndicated nationwide. As a broker, Michael has closed over $3B in transactions making him one of the most sought after CRE advisors around. A lot to be learned here. We just came across Allan’s site. It’s a treasure trove of actionable commercial real estate advice built on years of professional experience providing location advice to owners and occupants of industrial buildings in Southern California. Josh Cantwell and his team provide real estate investors and agents some of the best, most up-to-date resources, training, tools, techniques, tips, videos, news, interviews and insider information on investing in real estate in today’s market. Bill Gassett is one of the top social media influencers in the real estate industries. He curates and publishes some of the best content you’ll find anywhere on the web when it comes to marketing and investment best practices. The guy must never sleep because he is everywhere. Please follow this guy, you’ll learn a LOT! Joe Manausa is a nationally recognized real estate marketing expert with over 22 years experience helping clients scale investment opportunities. Real estate marketing and web design blog for real estate agents. Loads of great actionable content in here. A real estate website and marketing blog that provides social media and Internet Marketing tips on increasing website exposure and listing leads. Writings about real estate, branding, marketing, media and technology. Detailed blogging advice which focuses on lead generation, SEO and writing for the real estate industry. Union Street Media specializes in generating traffic, leads and conversions for real estate businesses. They regularly share tips and strategies with their readers. Whether it’s building a responsive website, generating PPC leads or ranking higher in local search, there is something here for everyone. Patrick Wiltse has done a fantastic job with the content strategy for this blog. He regularly shares actionable strategies and tactics to grow your online real estate presence. Everything from personal branding, recruiting, social media trends, lead generation and traffic tips. This one should be on your short list. Jennifer Snyder provides a wealth of online marketing advice through blogging, webinars, video and work sheets. She skips the traditional postcards, flyers, bus benches and shoot straight into the modern era of landing pages, email marketing, blogging, social media and anything the internet has to offer. Amanda Cornelius provides loads of great information from the latest in real estate technology and marketing. If you’re looking for creative ways to market your real estate business online, this site should be one of your first stops. It covers sales funnels, content marketing, web design, lead generation tips and more. Flyerco is a newer blog that delivers loads of actionable online marketing advice realtors can use to increase web traffic, generate leads and close sales with the latest technologies. Opinion, commentary and analysis on everything that makes the U.S. housing economy tick. Tips for how to sell your house quickly. Add this one to the shortlist. Property Cluster is anfluential source of news and information on U.S. housing finance. The blogs covers lending, servicing and real estate investments. Ilyce Glink and her Real Estate Matters blog appear in over 100 newspapers and sites. Joe Stampone discusses is unorthodox path into real estate investment and shares his strategies for achieving similar success. Canada’s Most Trusted Source of Unbiased Real Estate Investing Education, Coaching, Training, Tips, Strategies. A leader in the real estate industry, Jonathan Miller breaks down the economy and provides up-to-date information on the market and investing, loaded with detailed infographics. Get the latest news surrounding real estate technology in the BoomTown blog. Inman next covers every corner of the real estate industry ensuring you’re always current and informed. Looking for the latest in real estate? This is a one-stop resource. A great online resource put together by the team at Colliers International discussing a wide range of topics related to the commercial real estate industry. Bankrate’s mortgage blog is a go-to resource for the latest news and information about mortgage rate averages and legislative changes. You will also find a huge list of personal finance resources. Debbie Drummond regularly publishes quality content related to buy and selling luxury homes in the Las Vegas market. Definitely recommend following her blog. Karen Highland provides helpful information and resources to buyers and sellers in the Frederik Maryland area. A lot of Karen’s blog content is actionable in any real estate market. Ryan Lundquist is an expert appraiser who focuses his content around the local Sacramento housing market. He educates homeowners about the appraisal process and teaches investors how to work efficiently with appraisers during the buy/sell process. This blog provides local real estate news, statistics, and commentary without the sales spin. CJ Brasiel provides expert tips for selling your home in the San Jose area. Jim started the blog in 2006 and has since amasses over 5,000 blog posts, 1,700 YouTube videos with over 2 million views. He focuses primarily on North San Diego real estate market, but many of the topics and insights he provides are applicable in any market. Well worth a read! The New England Real Estate Journal is one of the largest commercial real estate news source in the United States. A fantastic resource with loads of informative and actionable content from across the national real estate scene. It includes everything from real estate news and analysis, to investment tips and advice. This blog makes real estate (even more) fun. From quirky real estate trends to calculating the cost of famous imaginary houses, the Movoto blog has done it all. Great read! Memphis Invest is one of the premier turn-key real estate investment companies in the U.S. making the purchase of cash flow real estate and passive investing, simple. Real estate news with blog posts on buying homes, celebrity real estate, selling homes, and investment tips. This is another great resource for agents, landlords and property managers alike. Loads of quality information from industry leaders that will keep you abreast of national real estate trends, and provide actionable strategies for selling and marketing your home. If you’re looking for a one-stop shop for all the latest real estate news and trends, this is it! Content geared towards making the buying, renting and selling of real estate simple and pain free. Get unique insights into housing data as well as actionable advice for real estate professionals. This blog from the National Association of REALTORS®, is a free source of info that helps homeowners protect, maintain & enhance their home value. This real estate investing radio show/blog is in Q&A format to provide answers to all of your real estate investing questions with the help of their excellent team of advisors. he BiggerPockets Real Estate Investing and Wealth Building Podcast interviews investors and professionals each week, focusing on actionable tips and advice. Joe Fairless runs ones of the most popular real estate podcasts on the web. He regularly interviews experts on a range of subject matter. From investment to lead generation best practices, this podcast is goldmine of actionable advice from some of the best minds in the game! With over 100,000 listeners, Tim and Julie Harris have created one of the most popular podcasts in the industry. They regularly interview big-name real estate executives, sharing advice to agents and brokers on wide range of industry topics. Each weekday Kevin Turner and the Real Estate Uncut team provides professionals in the real estate industry a short audio program with actionable tips to boost their career or grow their business. Robert Whitelaw, a Californian with over 25 years experience has published almost 250 episodes on his podcast. Topics range from home builder confidence, rent-to-own investments, foreclosure impact and more. New and improved subprime lending? Doug is a former appraiser and his wife Andrea is an interior designer and licensed realtor. The husband and wife have been flipping houses since 2008. They have bought and sold 200+ houses and are now doing 5-6 deals per month. They share everything they’ve learned along the way. Funding your deals! 4 of the BEST sources for financing your project! Randy Lawrence is a prolific real estate entrepreneur with over 24 years experience and four successful real estate investment companies. He has been seen on large publications such as Tampa Tribune, CBN and NBC. His podcast shares lessons learned goining from bankruptcy to a 7 figure business. There you have it – 85 of the best real estate blogs you’ll find anywhere online. Add each one to your favorite RSS reader and elevate you business in 2016. If you enjoyed the post, please share on social media…click-to-tweet. Are there any other blogs that you would like to see added to the list? Leave us a comment below and we’ll check it out.